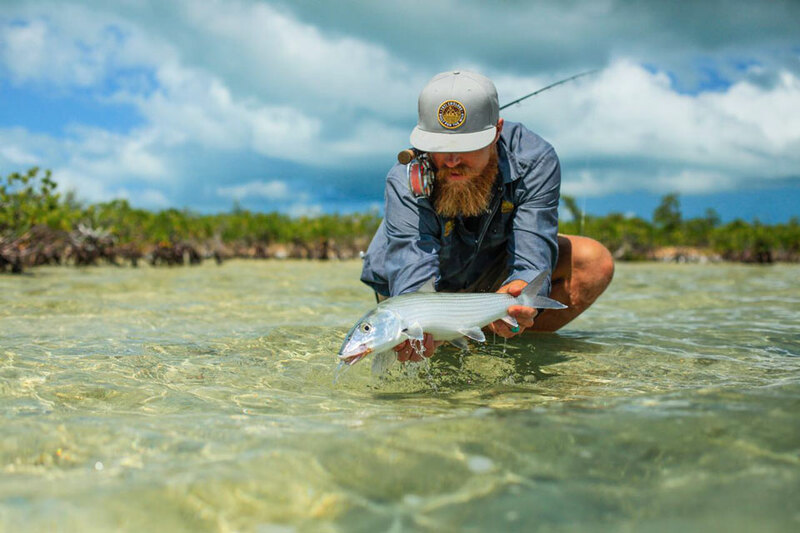 Abaco Lodge | Tailwaters Fly Fishing Co. Guests travel to Marsh Harbour (MHH) commercially from numerous major airports including Miami, Ft. Lauderdale, W. Palm Beach, Orlando and New Smyrna. There is even a direct flight from Atlanta. Abaco could not be easier to get to from the U.S. with daily and affordable flights on board major U.S. carriers such as American and United. There is also daily non-stop service from Nassau to Marsh Harbour with multiple carriers. It’s only a quick 10 minute drive to the lodge from the airport. 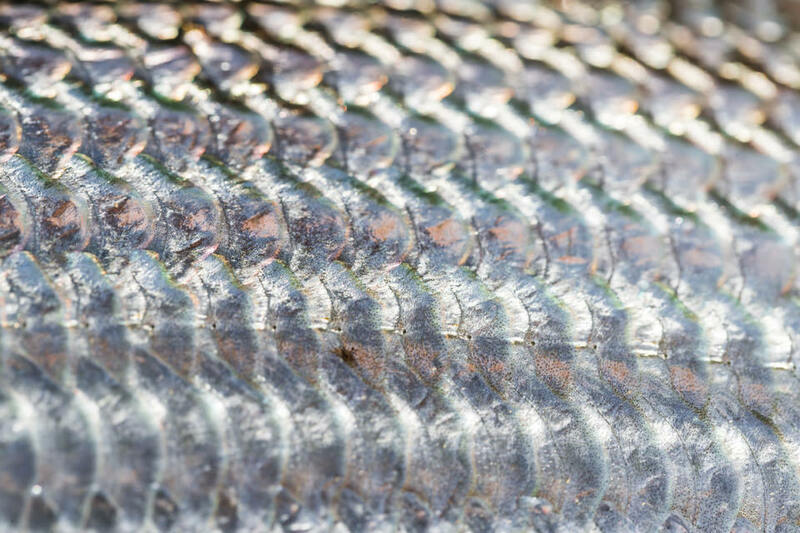 Bonefish are the primary target species, however Southern Abaco has a very unique and consistent fishery with large permit and tarpon as well as mutton snapper, barracudas, sharks and more. Most days are spent at various locations in the Marls, but the lodge can certainly trailer the boats to many spots on the island for a change in scenery. There are also a few locations for walk and wade fishing on hard sand flats. 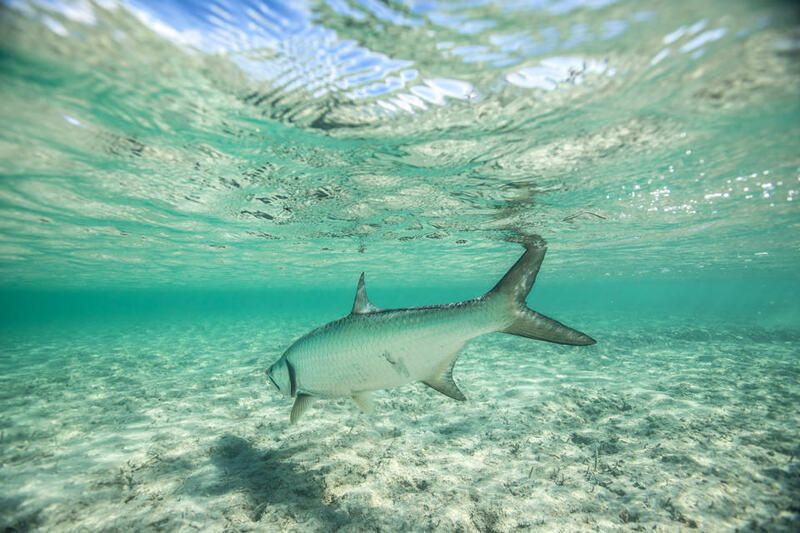 With the peak season at Abaco falling between the months of March and June, anglers can still find outstanding fishing from October to March – especially for those interested in permit or tarpon (See WHEN TO GO for more details.) Abaco does briefly close down from July to September during the inconsistent summer weather. Is Abaco Right For You? 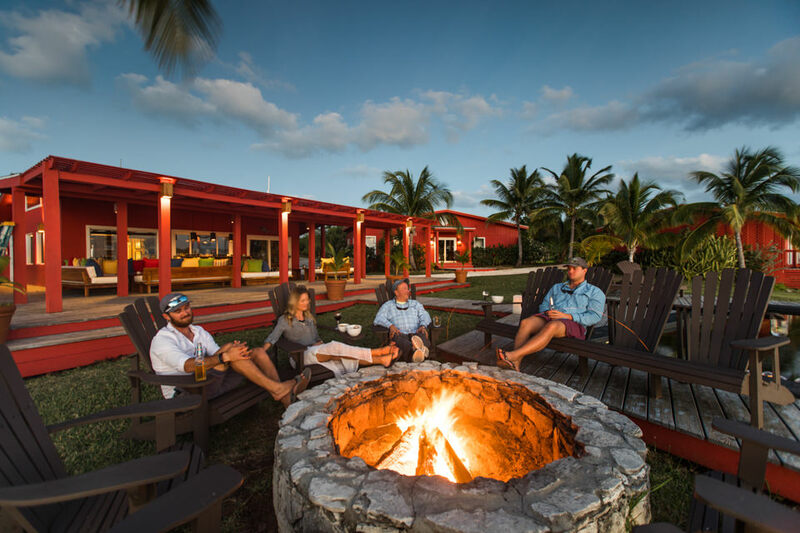 Abaco Lodge is an ideal lodge for any angler looking to test out their first saltwater experience, and is also perfect for any veteran looking for a great multi species experience, including tarpon and permit. Abaco has a brand new fleet of Maverick skiffs that provide high performance in comfort on the flats. The lodge has a laid back vibe and goes above and beyond when it comes to catering to guests’ comforts and needs. 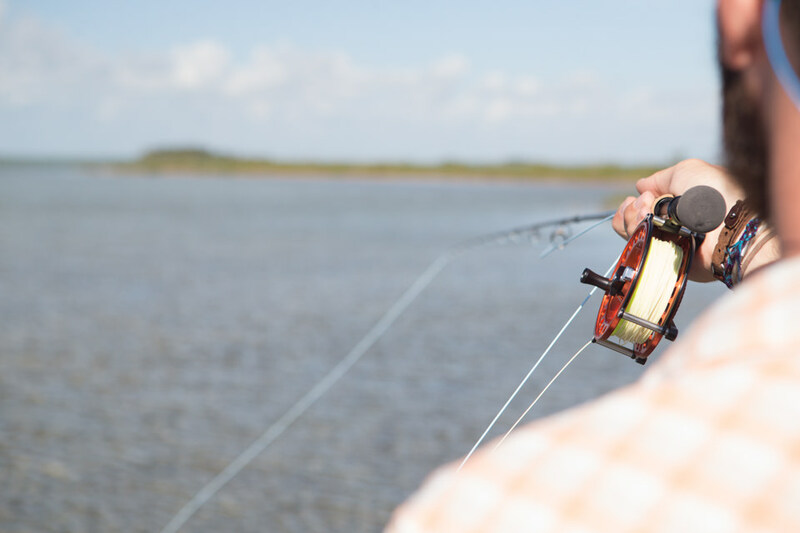 6 Nights / 5 Days Fishing ranges from $5560 – $5775 depending on the season. Shorter and longer fishing packages are available. All fishing packages are based on private room and shared boat/guide. Additional expenses include but are not limited to airfare to Marsh Harbour Bahamas; flies, terminal tackle, & other fishing equipment; gratuities. (See RATES) for details. 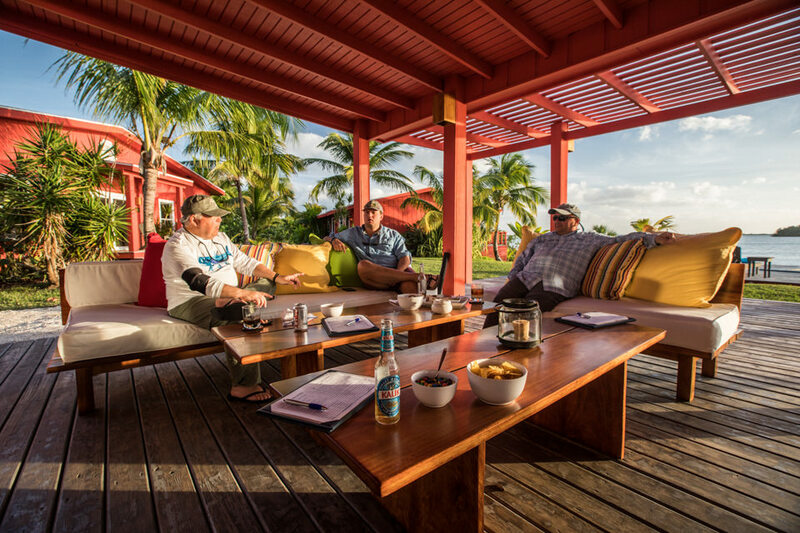 Located minutes from Marsh Harbour, Abaco Lodge is the perfect destination both for someone getting their feet wet in saltwater fly fishing as well as the veteran angler looking to experience the best of the Bahamas. Abaco’s waterfront property couldn’t be more idyllic for a relaxing experience in addition to world class service and accommodations. Owner and operator Nervous Waters spares no expense when it comes to making guests feel as comfortable as possible. Guests start their day with breakfast to order and then head out for a day of fishing in brand new Maverick skiffs, with fully stocked YETI coolers. A variety of options for lunch are available for order including cold sandwiches and salads. Arriving back at the lodge, one of Abaco’s hostesses greets guests with cold towels and a freshly made cocktail. No better way to end a day of fishing! The lodge is a combination of ten single occupancy rooms, plus one suite that can accommodate additional anglers or a family. 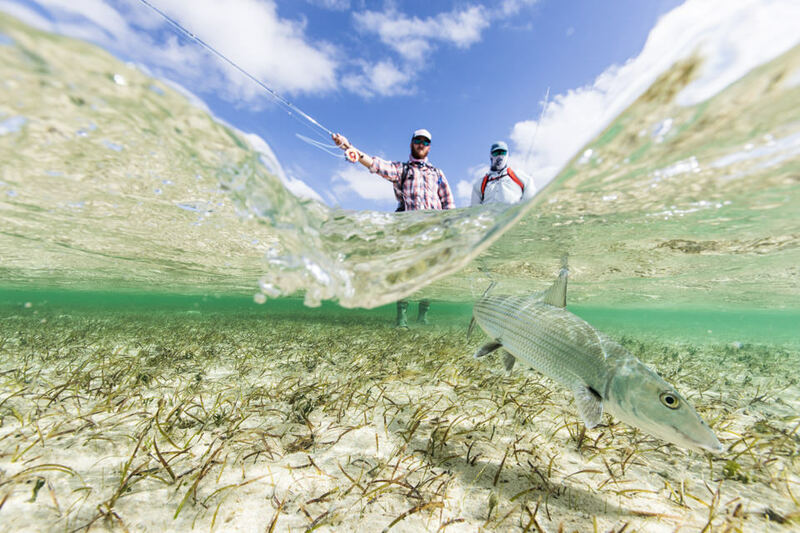 While anglers can expect to explore some on the west side of Abaco Island, the majority of the fishing is in the “Marls,” a massive wilderness of prime bonefish habitat. This huge flats area is peppered with unpopulated pine forest islands, mangrove cays, and a prodigious bonefish population — one of the largest and least pressured in the Bahamas. While most fishing is from the bow of the boat, there are some wading opportunities if the tide is right to stalk bonefish on foot. Make sure you bring your full arsenal of saltwater rods! 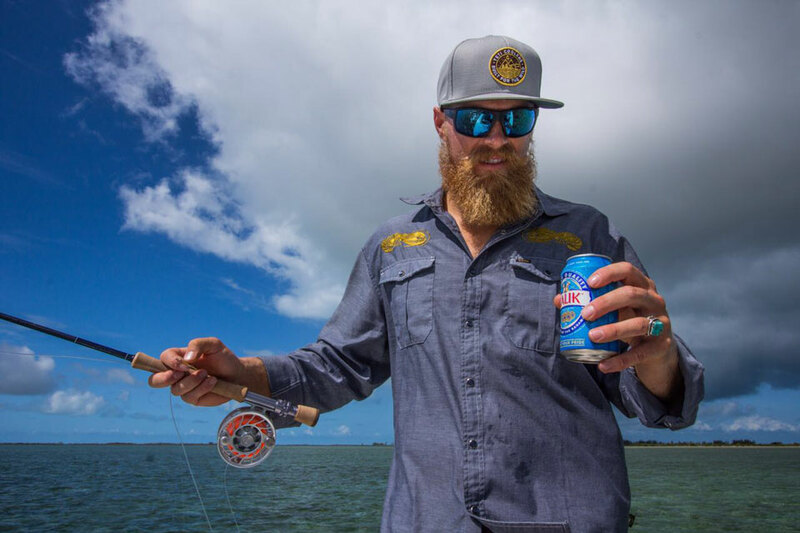 In addition to great bonefishing, anglers can chase tarpon, cast at the occasional barracuda, and go in search of permit. Abaco Lodge is centrally located on Abaco Island only minutes from Marsh Harbor. It’s the only lodge on Abaco directly located on the Marls, which is ideal for accessing the best fishing and shorter travel times. The lodge sits in an oasis of palm trees and faces west, looking out to the expansive flats known as the Marls. 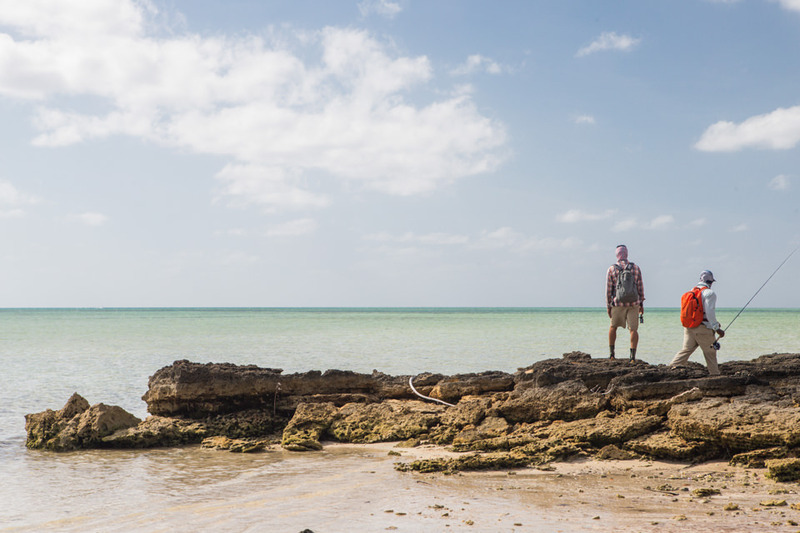 Abaco is one of the most accessible islands in the Bahamas with direct flights from the U.S. Don’t confuse the convenience in travel as a compromise to the quality of the fishing! 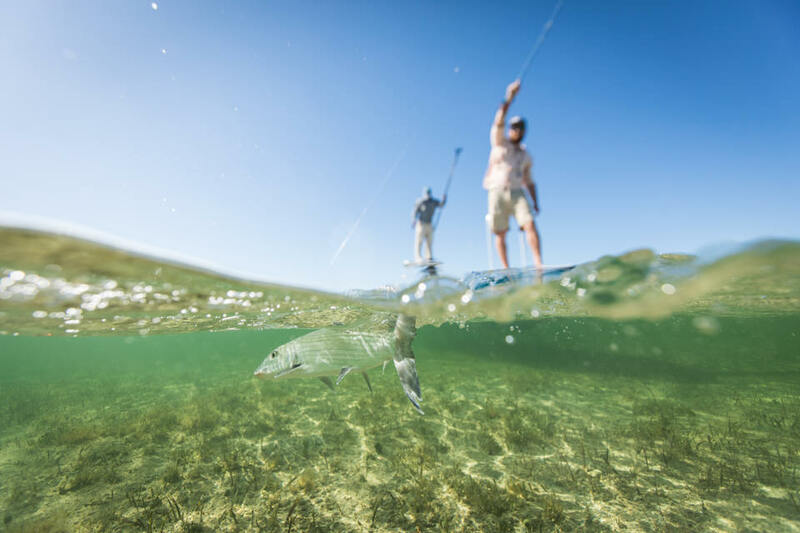 Abaco Lodge has an incredible multi-species fishery, and a staff of veteran and energetic guides that prove to put their guests on permit, tarpon, barracuda, and of course, bonefish! 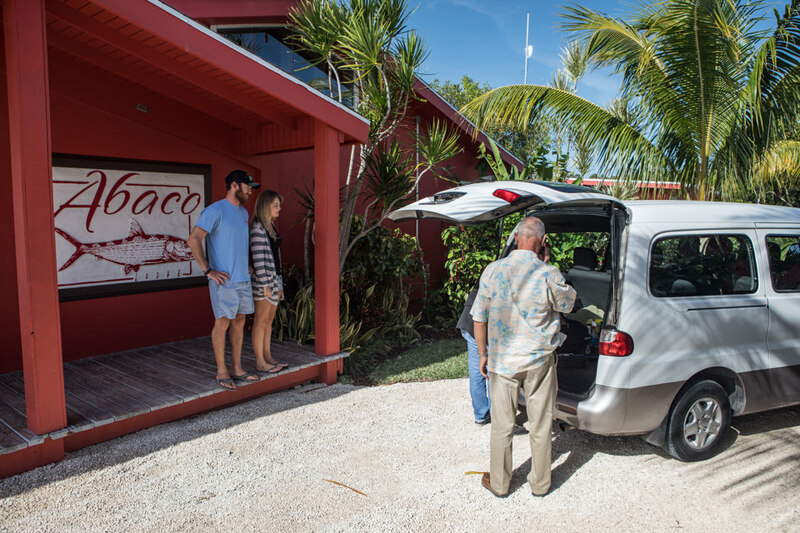 Abaco sets a new standard when it comes to accommodations and guest comfort. The lodge has 10 private, shorefront rooms, with air conditioning and wifi. While this is an angling destination – Abaco Lodge is a fantastic operation to consider for those bringing spouses or non-angling companions in tow. The ocean front swimming pool and comfortable lounging area are a perfect place to enjoy a relaxing day. 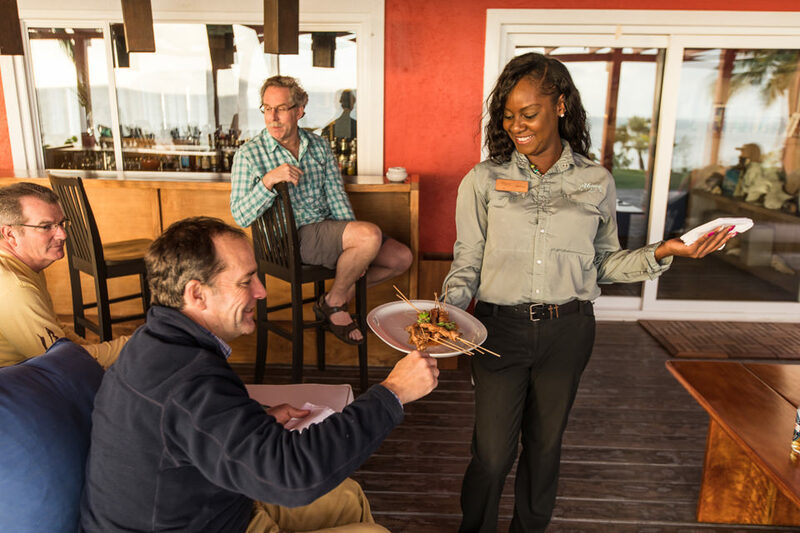 After fishing, guests are pampered with rounds of appetizers, cold Kalik, and cocktails, just before an unforgettable dining experience featuring Bahamian cuisine. 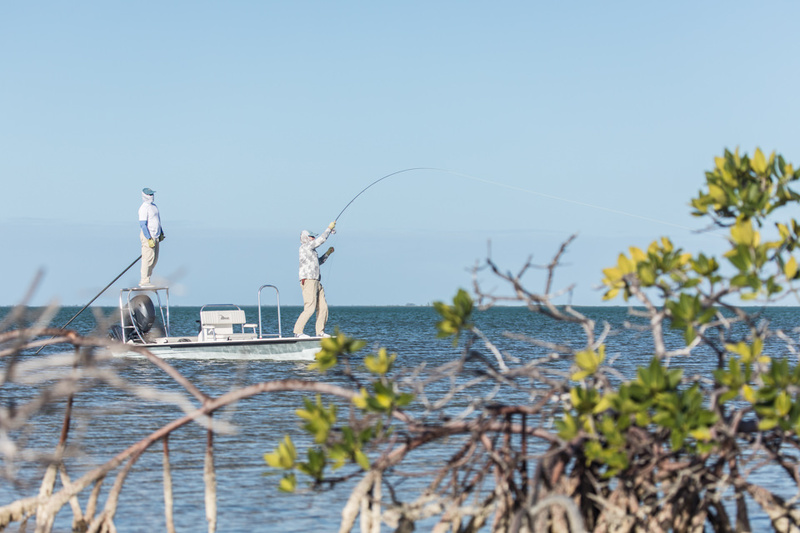 Their guide staff also has some of the most seasoned professionals you will find, and Abaco’s custom Maverick skiffs ensure access to shallow flats and maximum comfort! 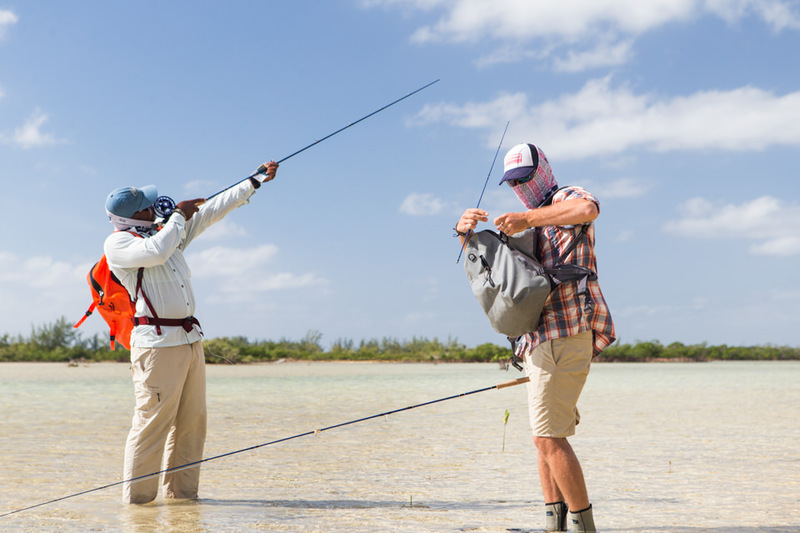 Abaco’s central location and direct launch to the Marls allow access to a vast labyrinth of flats, mangroves, and bonefish in numbers like nowhere else in the Bahamas. Abaco’s guides will fish the Marls as far south as Cross Harbor and as far north as Treasure Cay, with boat runs anywhere from 10-45 minutes. A 20 minute westerly run will put anglers on the outside ocean edge of the Marls. The sheltered Marls are home to tremendous numbers of healthy and unpressured bonefish in the 2-4lb range with the occasional 5-8lb fish. There are LOTS of tailing fish in the seemingly endless shallow water. Permit and juvenile tarpon are a fairly regular sighting, so an extra rod or two rigged for these species isn’t a bad idea to have on board! Barracuda, sharks and mutton snapper are other frequently encountered species that might put a bend in your rod if you are interested in presenting the fly. Weather dependent, Abaco will utilize their 18ft 115hp powered Maverick to make a quick 1hr run to Moore’s Island which can provide consistent shots for enormous bones, freaky sized permit, and surprisingly consistent tarpon action. The Abaco lodge boats are docked at the lodge and can be launched directly into the Marls or trailered to other locations within 30 minutes of Marsh Harbor. Trailering the skiffs allows for the ultimate in flexibility no matter the conditions. Guides can also drive anglers to various locations in which walk & wade options are available on hard sandy flats. If bluewater fishing is of interest, Abaco can arrange a day or two with the best captains on Abaco. Target species including marlin, sailfish, tuna, dorado, and wahoo – depending on season. Abaco has many similarities to the fishing areas around Key West with some areas of open water crossings, some deeper flats for permit and tarpon, and some super skinny areas with technical poling and maneuverability required. Abaco Lodge teamed up with Maverick Skiffs to create a custom boat for the lodge with all these situations in mind. The bow forms a large casting platform with line mats and leaning posts. The cockpit has a padded YETI cooler and backrest for comfort on boat runs. They’re also equipped with first aid kits and an emergency satellite phone. Comfortable running in open water, heavy enough to handle a swell in deeper water, and light enough to pole around shallow for bones – these boats are a huge part of Abaco’s success on the water each and everyday. 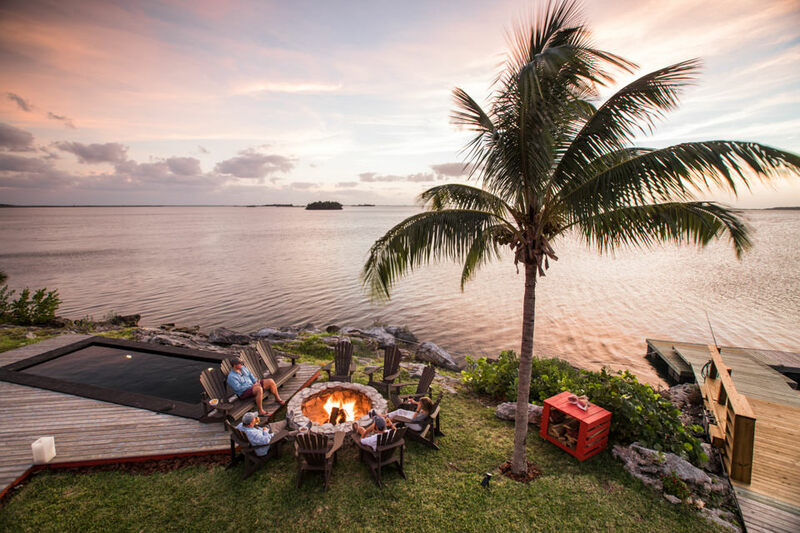 Abaco’s waterfront lodge is a mini oasis surrounded by palm trees and landscaped with tropical plants and flowers, creating a feeling of ultimate privacy and relaxation. The all inclusive bar opens to a massive outdoor patio situated next to a swimming pool and outdoor fire pit. With views of the expansive flats and epic sunsets, guests can take comfort in huge outdoor couches and chairs as they enjoy a cold beverage of choice and multiple rounds of appetizers before dinner. The lodge dock is a great place to escape and go watch fish (it’s an aquarium out there), or practice a few casts. 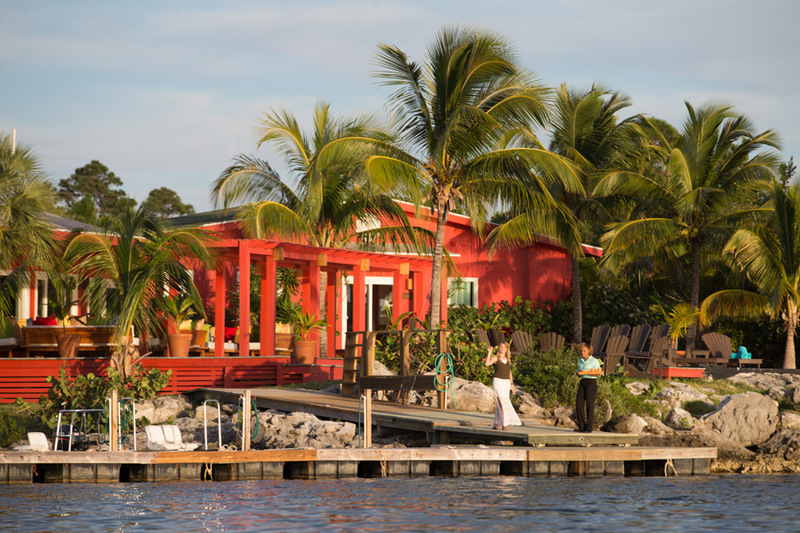 Abaco Lodge has 10 guest rooms and can accommodate up to 10 anglers. The lodge can also accommodate up to 10 non-angling spouses sharing the room as well. Otherwise, all our trips are based on private accommodations and shared boat. Each room has a king bed and they do not offer rollaway beds. Guests are treated to the outstanding culinary skills of Chef Sid Munroe, a graduate of Culinary Art Institute of Durham, North Carolina. Sid executes her dishes perfectly and loves to bring local ingredients and fresh catches into the mix. 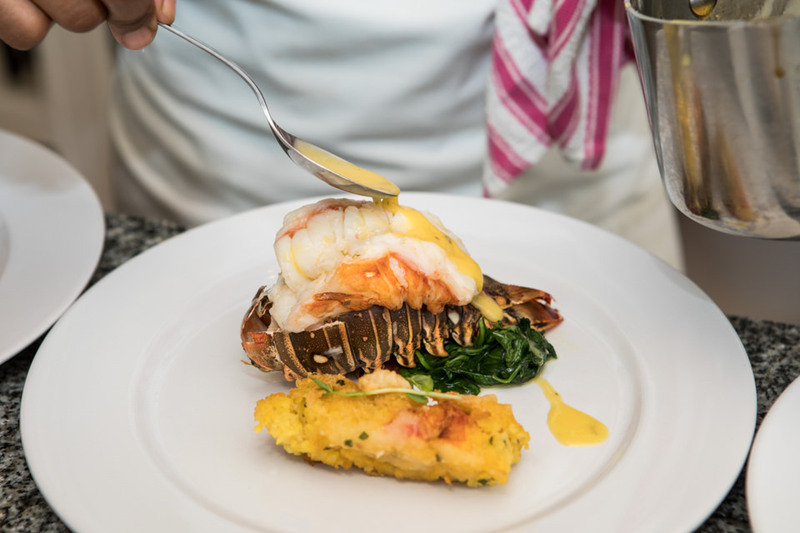 Everything from fresh lobster, to Wahoo and top cut beefs. 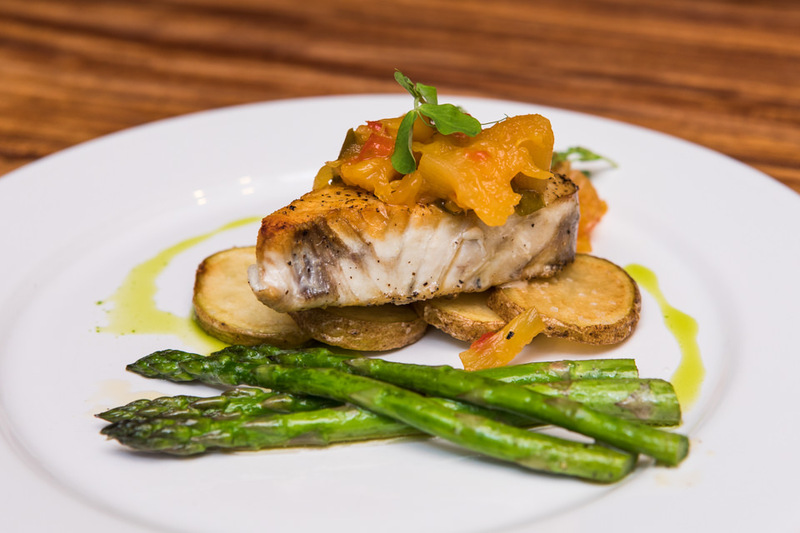 The Abaco kitchen staff goes the extra mile when it comes to providing hungry anglers with an excellent lunch. 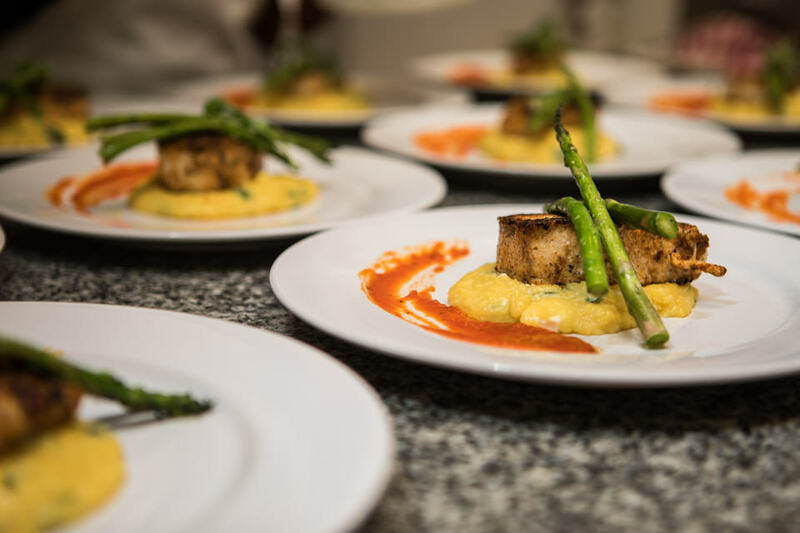 Contrary to most lunch programs, Abaco allows guests to custom order their lunch via a menu each evening prior to the next day of fishing. There is an endless amount of options, with each day having a particular lunch special. There is no limit to how much you would like to eat or drink! With a quick transfer of only 10 minutes from airport to the lodge, Abaco is likely one of the easiest lodges in the Bahamas to get to. Abaco is serviced by several airlines with direct flights into Marsh Harbour from Miami, Ft. Lauderdale, W. Palm Beach, Orlando and New Smyrna. 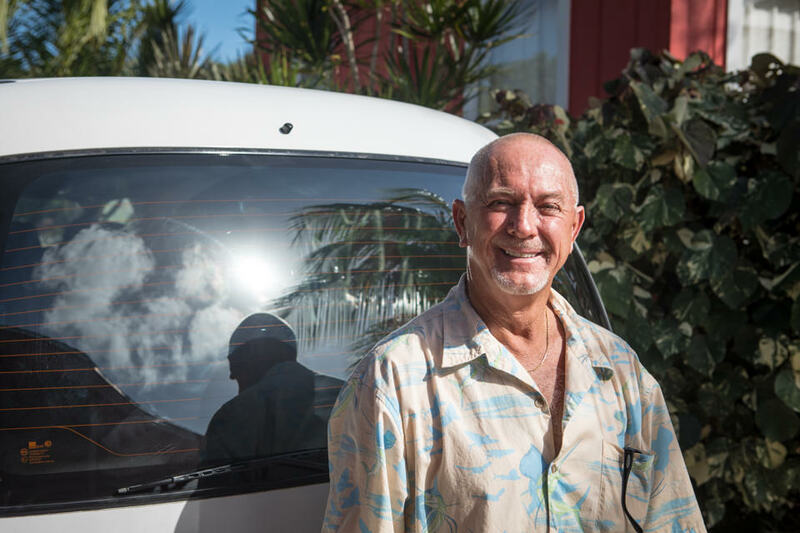 Abaco Lodge will provide transportation from Marsh Harbor to the Lodge and return. Travel to Miami, Ft. Lauderdale, W. Palm Beach, Orlando or New Smyrna and make a commercial connection to Marsh Harbour. No need for expensive charter flights! Upon arrival at the Marsh Harbour Airport, guests are driven ten minutes the lodge by a representative from Abaco Lodge. At the lodge you are greeted with a fresh juice and will meet lodge managers Christiaan Pretorious and Lindi Blaauw. You will then get situated in your room, and prepare yourself for cocktails, dinner, and the next few days of fishing. Coffee is available at 6:30AM followed by breakfast at 7AM, which is served in the main dining room. Following breakfast the fishing day starts around 8:00AM, lunch is taken on the water, and anglers return to the lodge by 4:00PM for cocktails, a shower, and a wonderfully prepared dinner. Depending on the weather and desired type of fishing, guides will trailer to various locations if need be. Transfer to the Marsh Harbour airport for your commercial flight back to Florida and your connection home. One thing people often neglect when considering a trip to the Bahamas is the weather. The Bahamas are actually in the Atlantic Ocean, not the Caribbean Sea. As a result the islands are more susceptible to northerly cold fronts than their Caribbean neighbors to the south, as well as being susceptible to tropical storms during hurricane season. Abaco Lodge is CLOSED July – September. There are a few loose weather guidelines you must consider. Non-angling companions are welcome and encouraged to join fisherman at Abaco. Every bedroom has a king sized bed to accommodate private rooms for anglers or shared occupancy for couples. Fishing is the primary activity as a guest at Abaco, but Abaco Island has loads of adventurous activities for non-fishing guests to tackle. A naturalist can be hired to give tours around Schooner Bay, and the beaches are stunning. Marsh Harbour and Treasure Cay are not too far north and both offer nightlife, restaurants, and shopping. Abaco can assist in organizing snorkeling and diving excursions around other parts of the island as well. A 50% deposit of the total package cost for each trip/angler is due within 10 days of booking to secure the reservation – 10% of the total package cost for each trip/angler is non-refundable. Guides and dates cannot be held or reserved without a deposit. Abaco Lodge reserves the right to charge a handling fee of $100 per person for date changes after the initial reservation has been made. Full payment is due 60 days prior to departure. In the event of a cancellation, Abaco Lodge will assess a $100.00 handling charge to all deposits and payments received. Cancellations 90 days prior to start of trip: 90% refund minus a $100.00 handling fee. The refund can be applied to a future trip booked within one year. Cancellations 31-90 days prior to start of trip: 50% refund minus a handling fee of $100.00. The refund can be applied to a future trip within one year. Cancellations 30 days or less prior to start of trip: No refund or credit will be given.